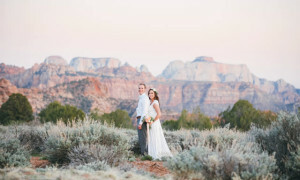 In recent years Zion National Park has become more and more popular as a destination for weddings. Its no wonder. 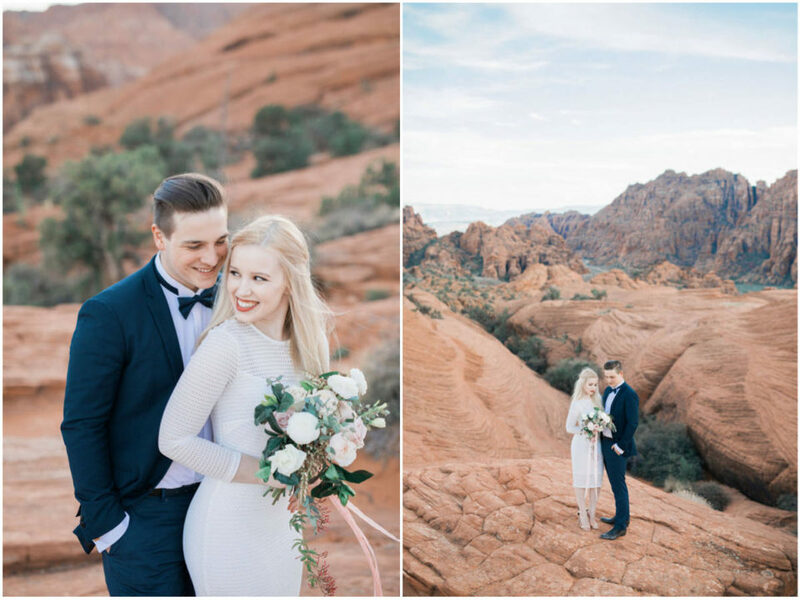 Weddings in Zion are absolutely awe inspiring and makes for an incredible wedding backdrop! 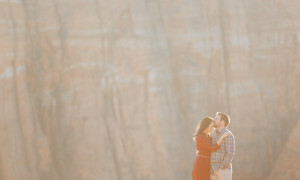 As that happens though, and as the tourism grows in Zion, more and more couples are looking for more quiet alternatives. 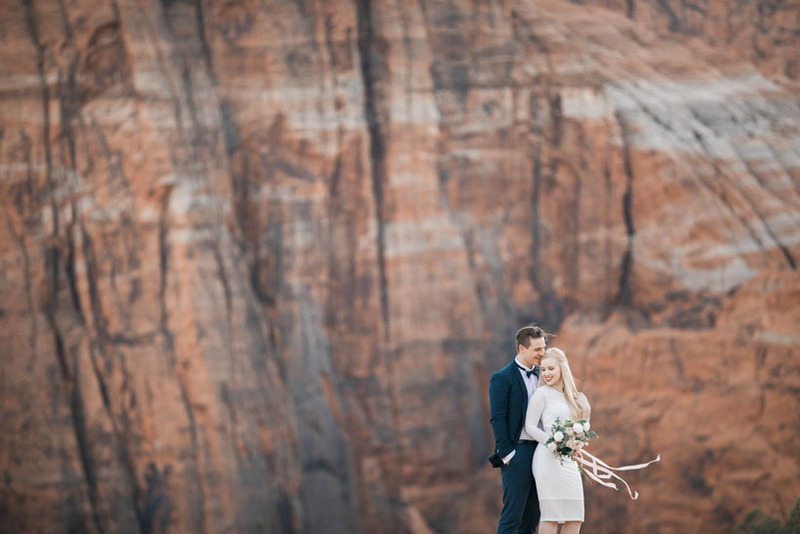 Snow Canyon with its towering red sandstone and amazing canyon views fits that bill perfectly! 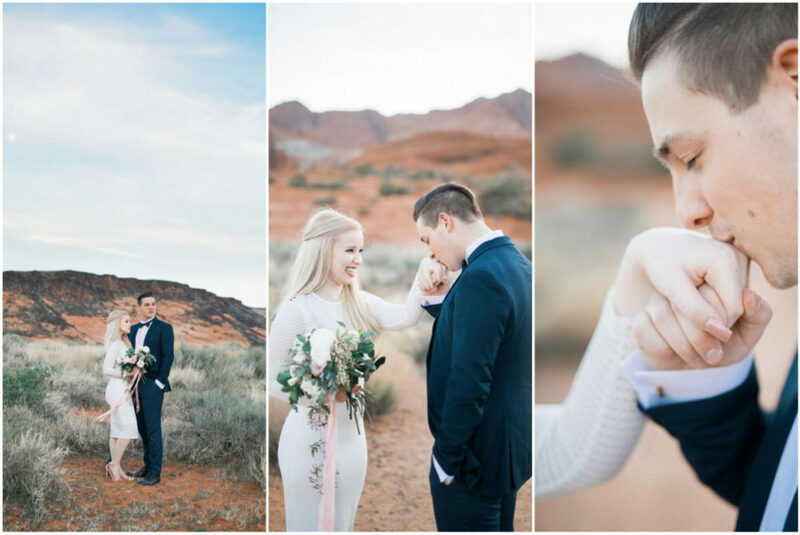 A wedding in Snow Canyon is absolutely stunning. 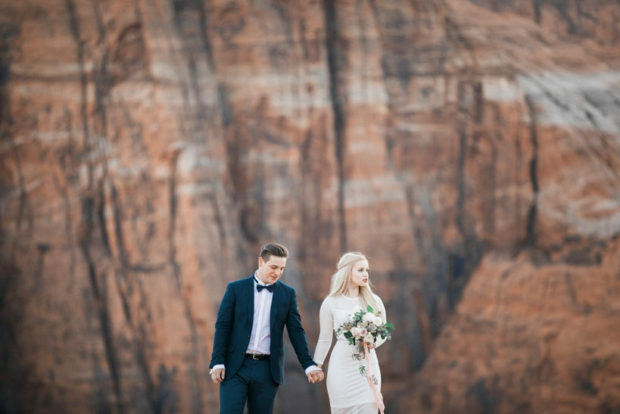 It will also be much quieter and with fewer crowds then having your wedding in Zion National Park. 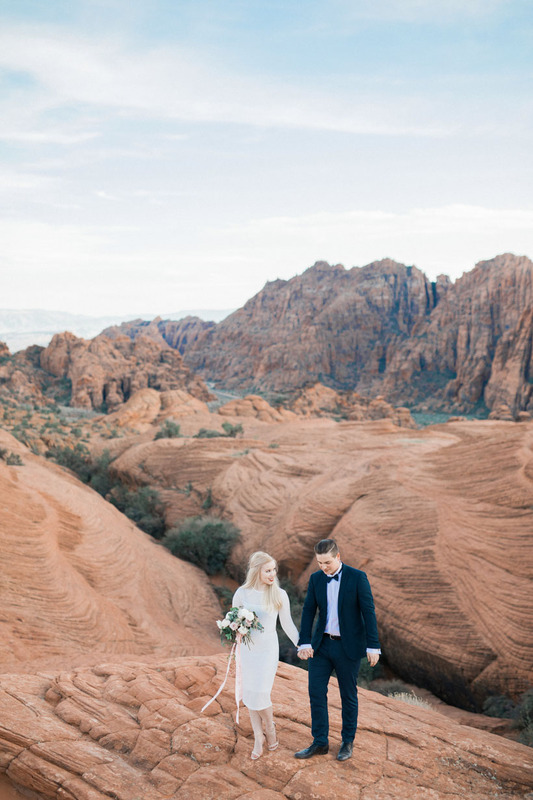 Snow Canyon has so much to offer for a wedding destination. 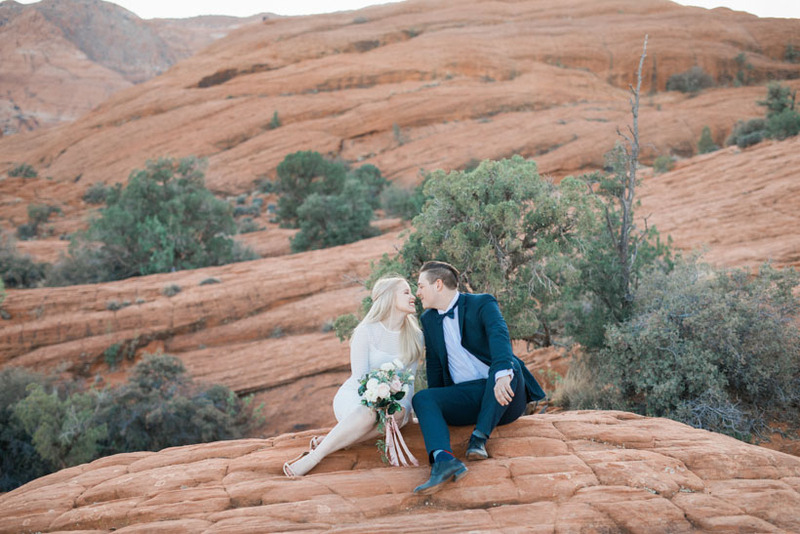 It is close to beautiful wedding venues like Entrada, as well as The Ledges. 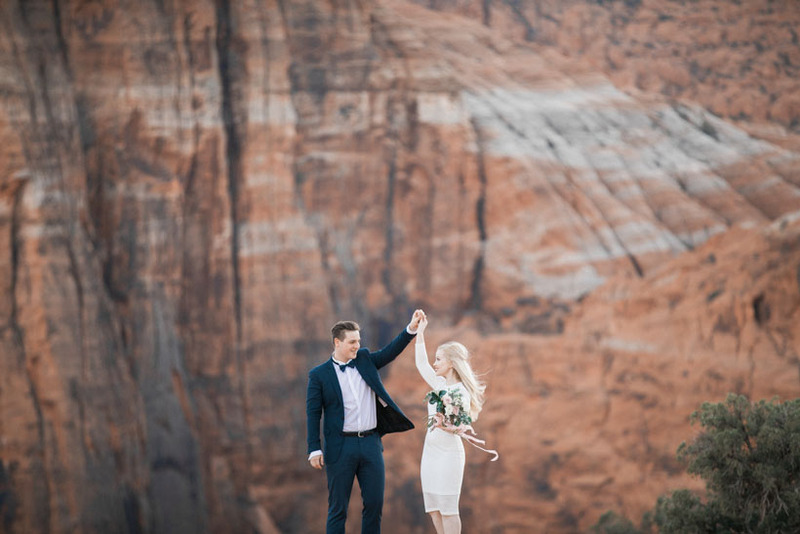 These two wedding venues feature different views of Snow Canyon in the background. 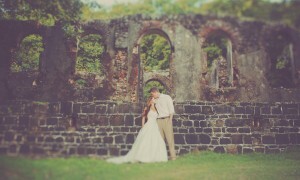 They are wonderful venues to hold a reception at. 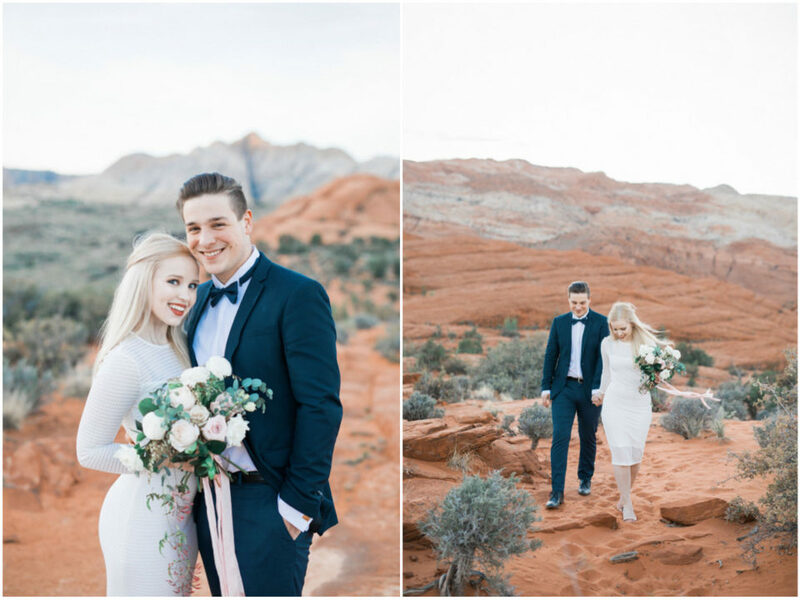 Many couples decide to do a ceremony in Snow Canyon, or at the very least, some photos together among the sandstone cliffs and rolling dunes. 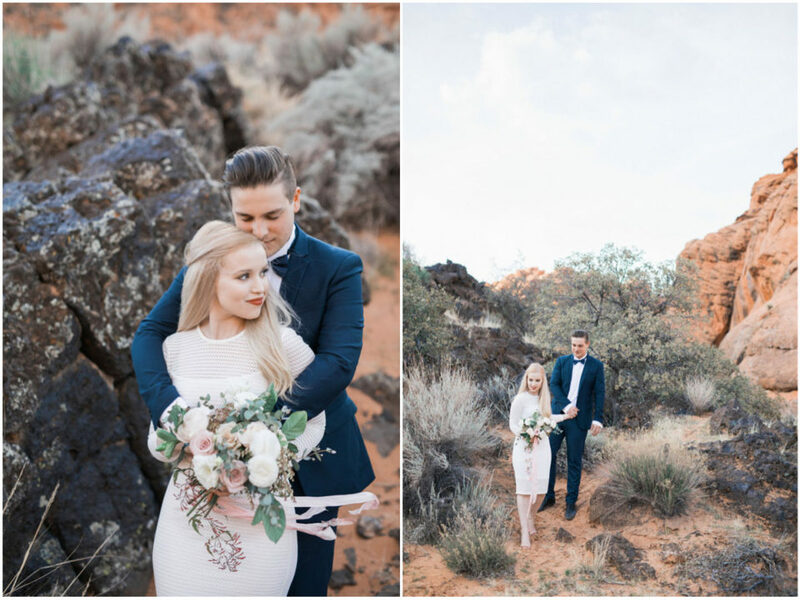 Amanda and Johan wanted to have their wedding photos in Snow Canyon. 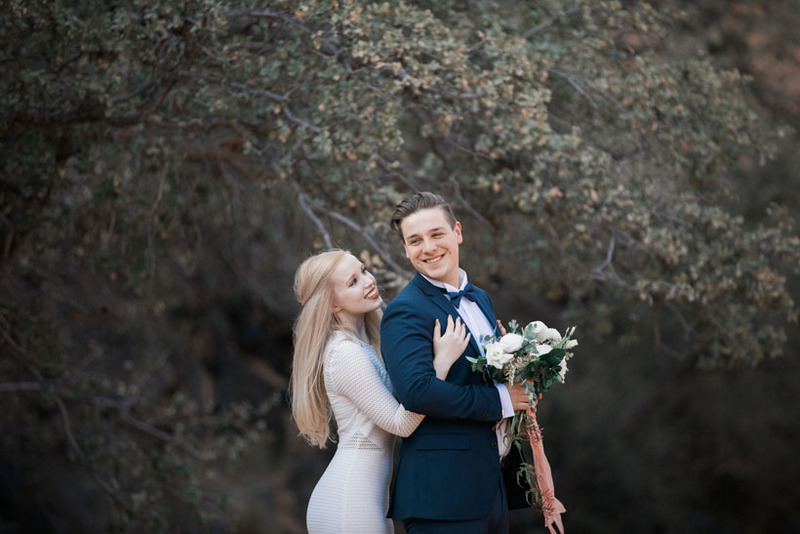 Johan is from Germany and Amanda grew up in Alaska. 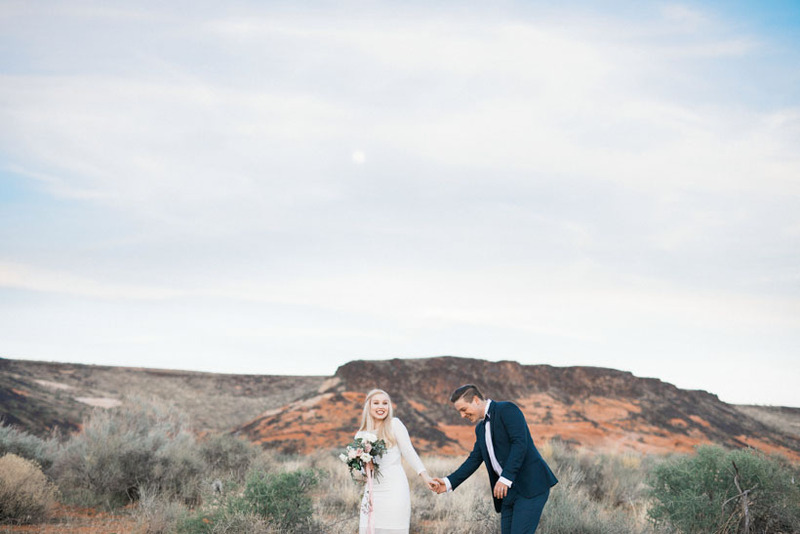 They were drawn though to the beautiful painted vistas of Southern Utah for their elopement. 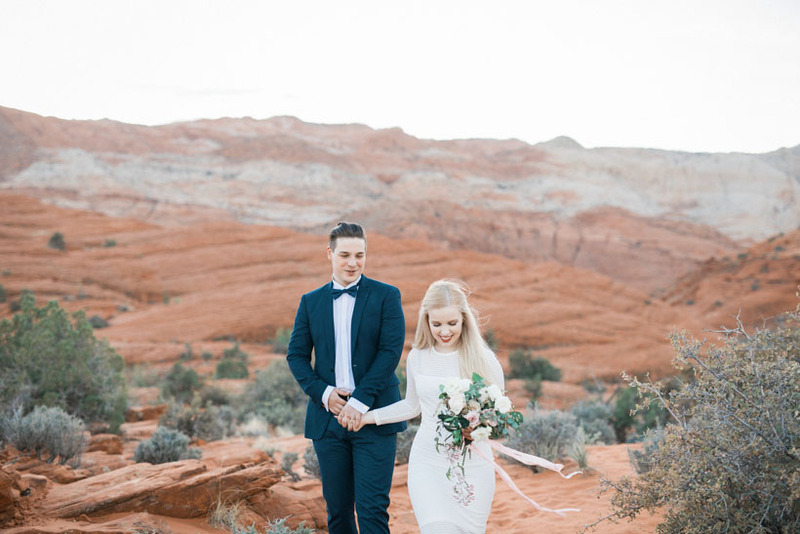 Snow Canyon was exactly what they were looking for. I loved their sense of style. 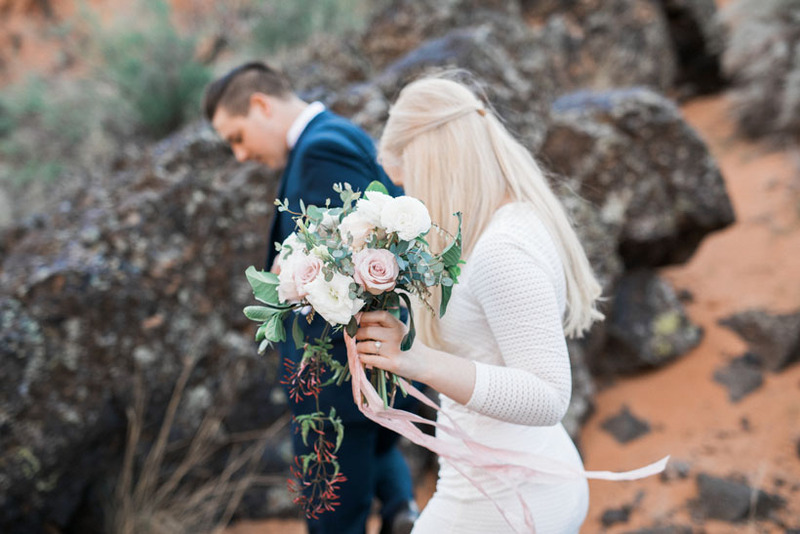 Of course the bouquet from Bloomers in St George was perfection! 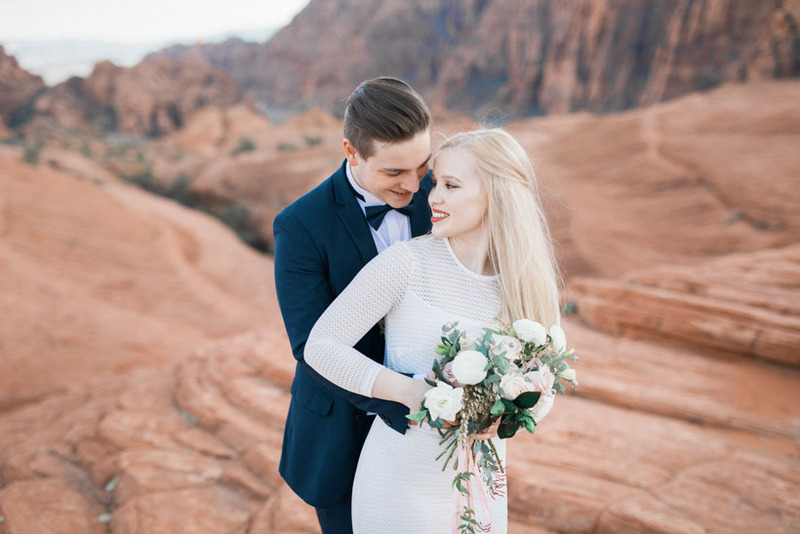 I had a wonderful time hiking around Snow Canyon with them. 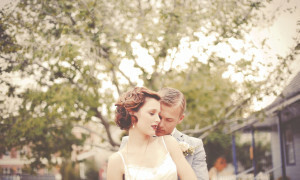 I love to get to know new couples and to capture the love and devotion they have for one another. 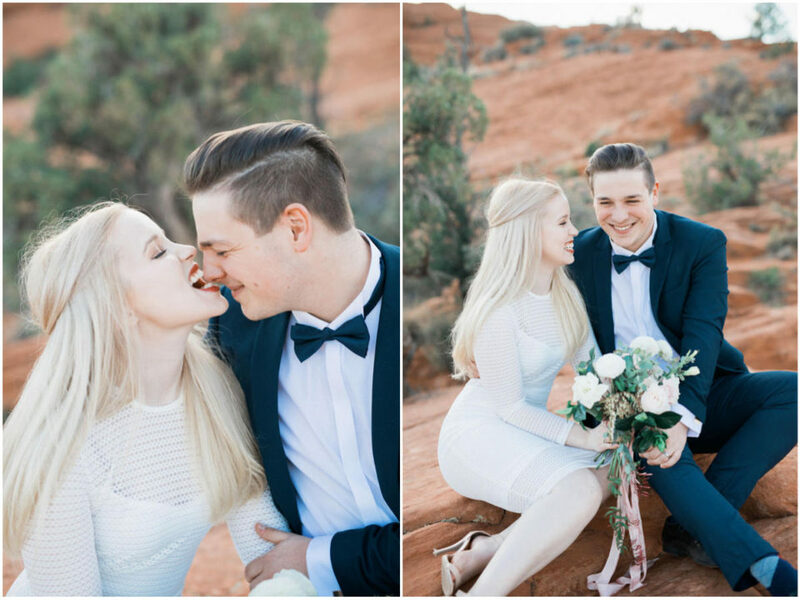 These two were a lot of fun and somehow made Snow Canyon look even more beautiful then it does own its own! 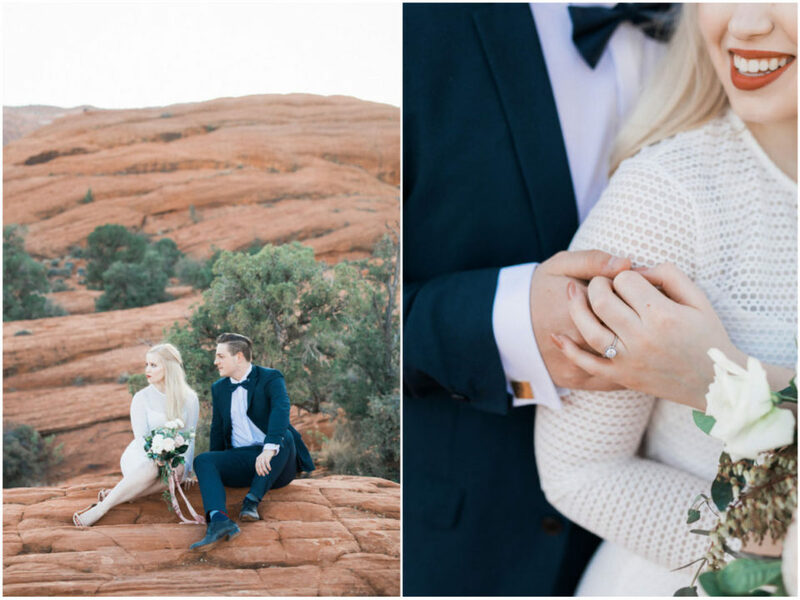 I always look forward to weddings and elopements in Snow Canyon. 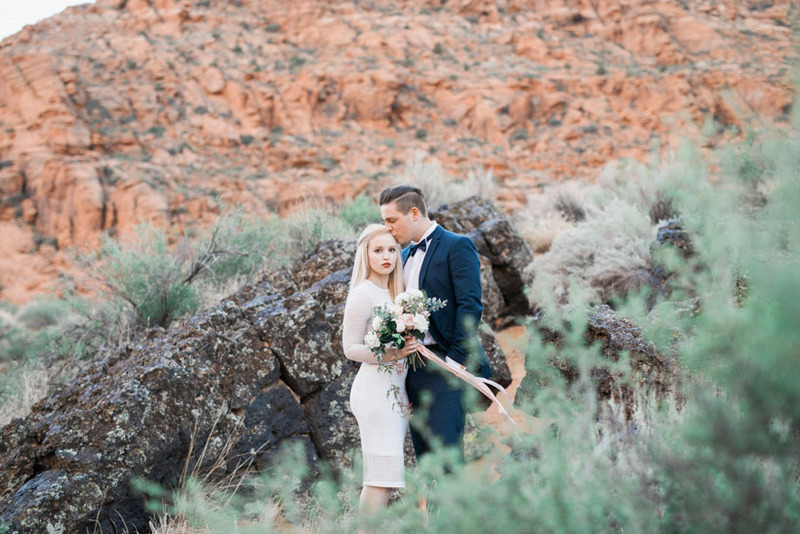 It is a breathtaking location and the perfect spot for your Southern Utah wedding photos!